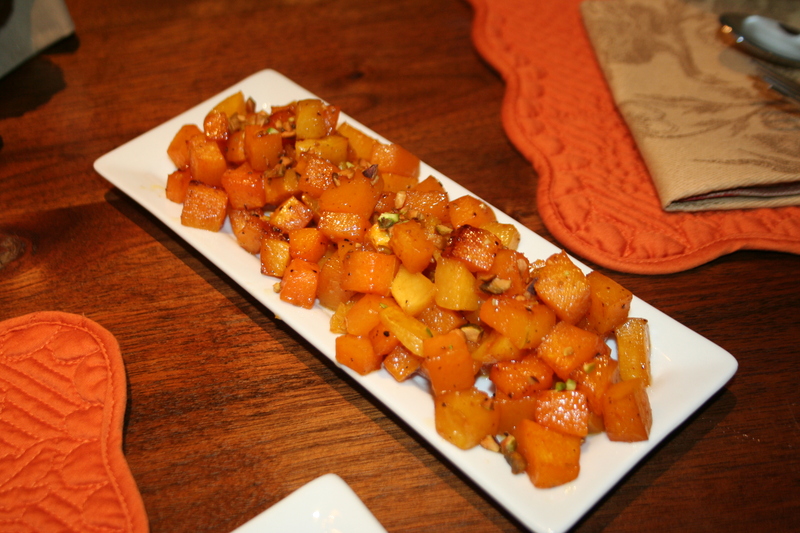 We love…love Butternut Squash and Acorn Squash which I make the very same way. This is such a easy dish and it is so wonderful. I will add this to a salad with beets and goat cheese amazing!! I will add this to risotto with a little spicy sausage too, wonderful! I will even mix the squashes and potatoes for a dish with fresh herbs yummy! I peel a butternut squash and then chop into small squares. You can get this item a Trader Joe’s already peeled and chopped ~ so easy!! Then I wash squash and dry it well. Then dump in a glass bowl and pour over butter and olive oil to coat all and each side of the squares. Sprinkle with salt and pepper. Then place on a parchment paper lined baking pan. Then I sprinkle on the dried brown sugar and place in the oven at 350 and bake for about one hour. This depends on how large or small your squares are…I like the tender to the fork and a little caramelizing on the squash. This makes it sweet, crispy and oh so yummy!! Plate up and then sprinkle on the chopped pistachio nuts ~ this is a wonderful side item.